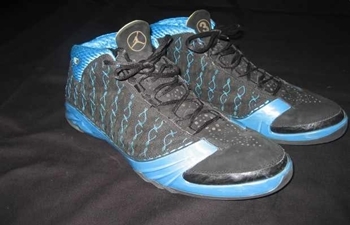 Chris Paul is one of the most famous endorsers of the Jordan Brand shoes and with his popularity it will not be proper if we will not take a look at one of his Player’s Exclusive shoe. CP3 now has his own edition of the Air Jordan XXIII and this PE shoes is currently surfacing in the market. It is made up of a black upper part stitched with teal accents, making it more appealing despite its simplicity! Look for this one and you will surely get your money’s worth with it! First Retro Edition of Air Jordan Coming Out Soon!